It is lightweight, and has an incredible thermal co-efficient, which means even on hot days, it is cool to sit in. "Rock your heart away" in the Wiljen Rocker; available as a standard & "Big Boy" adirondack chair rocker. "Glide your day away" in the Adirondack Glider Chair. 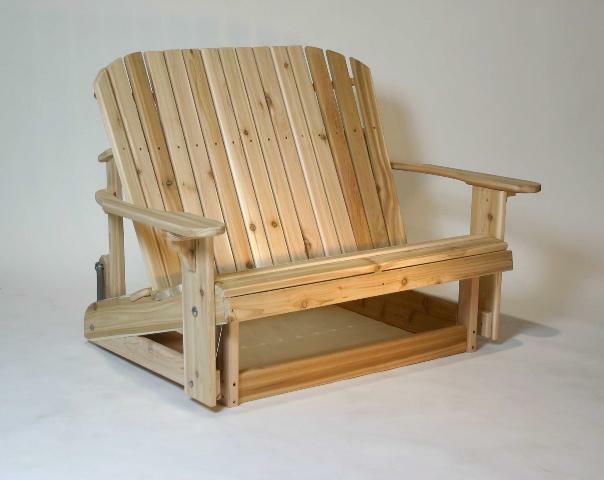 Some say, "the most comfortable version of any Adirondack style chair." 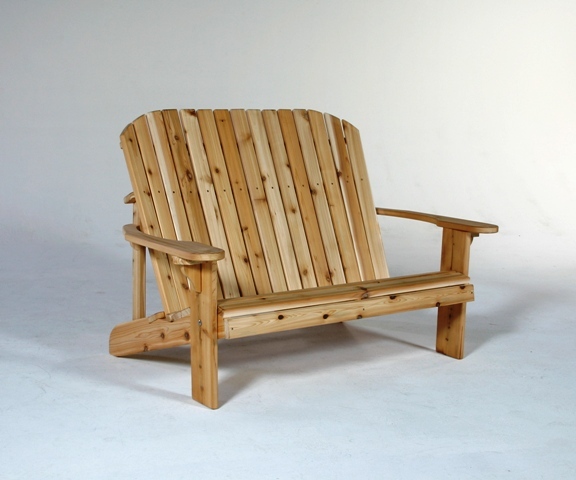 The Adirondack Loveseat is one of our most popular pieces. 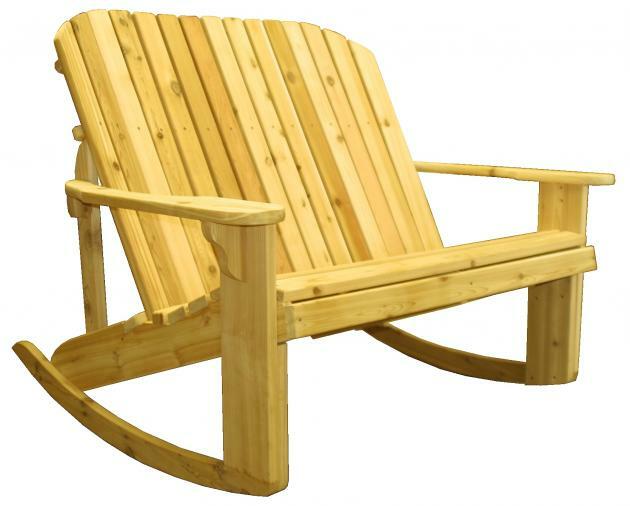 It costs only 50% more than the Adirondack Chair, yet seats two comfortably. 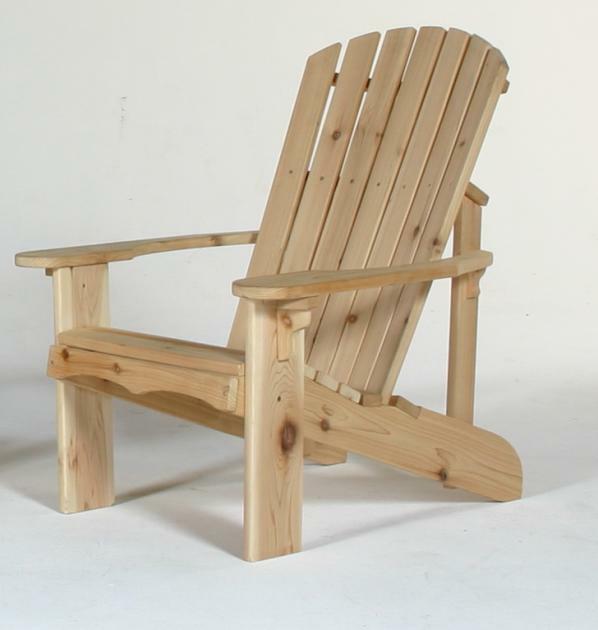 Just like our rocker, this glider is a prefect addition to any porch or deck. Spend hours relaxing and enjoying the outdoors sitting with your loved ones. A great addition to any chair! The simple, square Adirondack table is solid and functional. It is the same height as the chair paddles, so it fits into the set very nicely. The Round Trestle Table is ideal for snacks or barbeque dinners. It matches the Adirondack Chairs. Use it as a coffee table with our product line.